January 31, 2009 between 1:14 UT and 2:24 UT from Beilen. 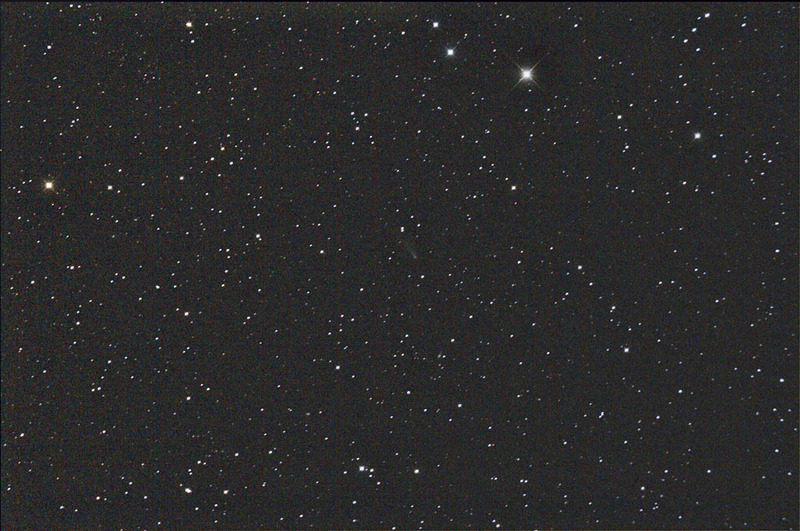 21 - 180-second exposures with a modified Canon 40D, set at ISO 1600, through a 20-cm f/2.75 ASA astrograph. SQM reading was mag. 20.7 / sq.arcsec, the higest value I ever measured so far. 100% crop of the top image. 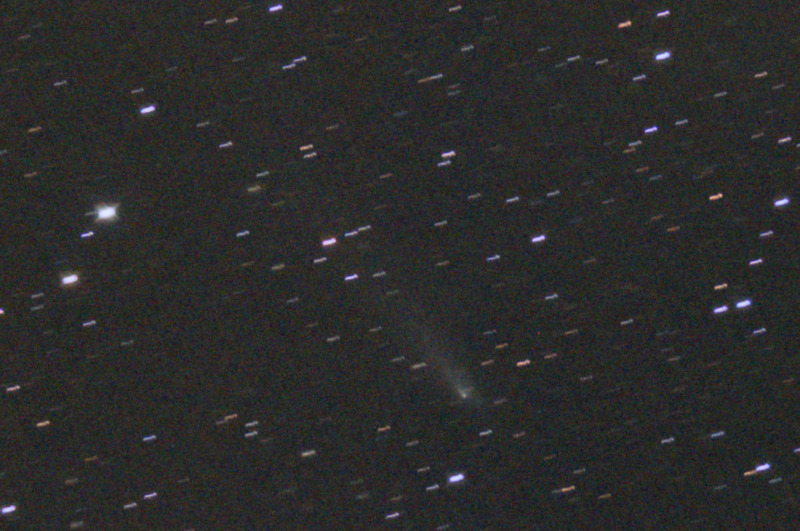 January 25, 2009 between 0:20 and 0:54 UT from Beilen. 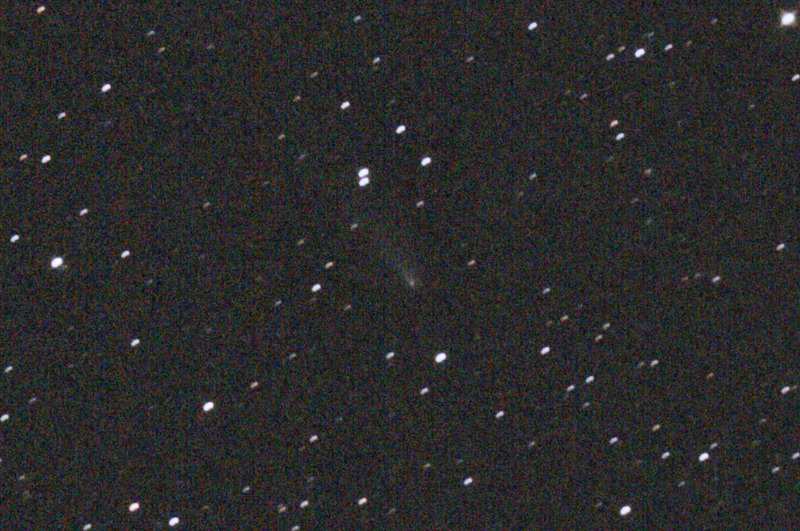 9 - 120-second exposures with a modified Canon 40D, set at ISO 1600, through a 20-cm f/2.75 ASA astrograph. SQM reading was mag. 20.4 / sq.arcsec. 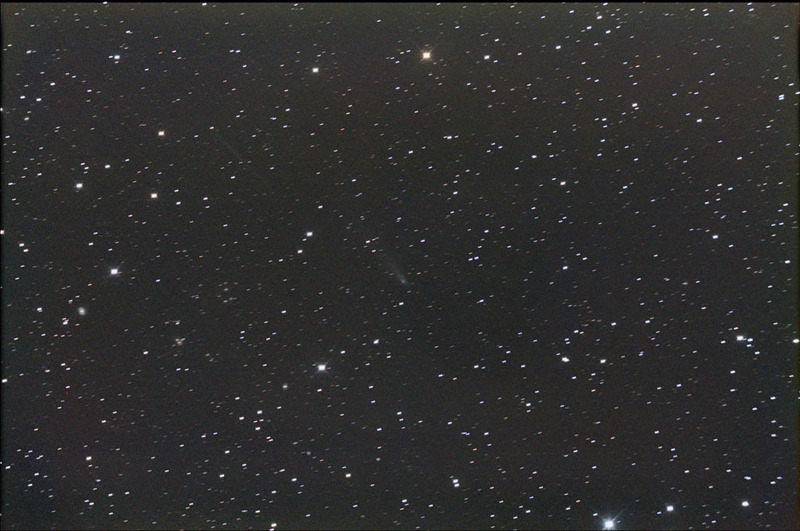 100% crop of the top image, a faint tail is visible.